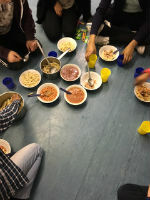 This Youth Group runs fortnightly during term time on a Friday night 7.30 -9.00 p.m. It's for 9 - 13 year olds. March15th & 29th, April 26th, May 10th & 24th, June 14th & 28th, July 12th.